AOL announced on November 20, 2013 that the popular media player and its services will be shutdown on December 20th. 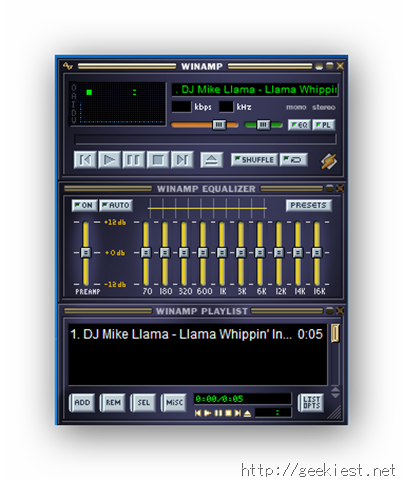 Many reports around the internet claimed that Microsoft was in talks with AOL to buy Winamp & Shoutcast, but a deal has not materialized so far. Now, TechCrunch, a popular blog also owned by AOL, reports that a secret potential buyer is negotiating with AOL to buy Winamp & Shoutcast. Though they have not named the buyer, we can only assume it is the Redmond based company. They also report that an AOL spokesperson declined to comment on this. I wonder why, Winamp & the blog are owned by the same company , as is the spokesperson. This is all turning into a bit of a drama. While we are uncertain that Winamp will be shutdown today, there is no reason not to download the last version of Winamp Media Player 5.666 from their website. Just as a precaution, save a copy of the installer on a cloud service of your choice like DropBox and on your portable hard drives. We will keep you updated in case of further developments to this story.